One of the more prominent emerging trends for streaming video services is the integration of social media with film streaming, something zombie movie rental chain Blockbuster is venturing into with kingpin social network Facebook. “For us it’s a matter of optionality and making it available… We know the crowd sourcing is becoming more important when it comes to what people watch and buy,” so the company wanted to make sure it gave viewers a choice of how much they want to interact with the films they watch. Although “the crowd sourcing” sounds a bit like “the internets,” the service could really take off in cementing real-time and social film sharing. (Not to mention a lot of users are still a bit miffed at Netflix over the price hike brouhaha.) 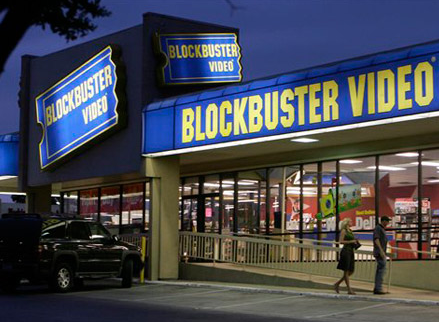 Would you go back to Blockbuster to watch movies with friends on Facebook?